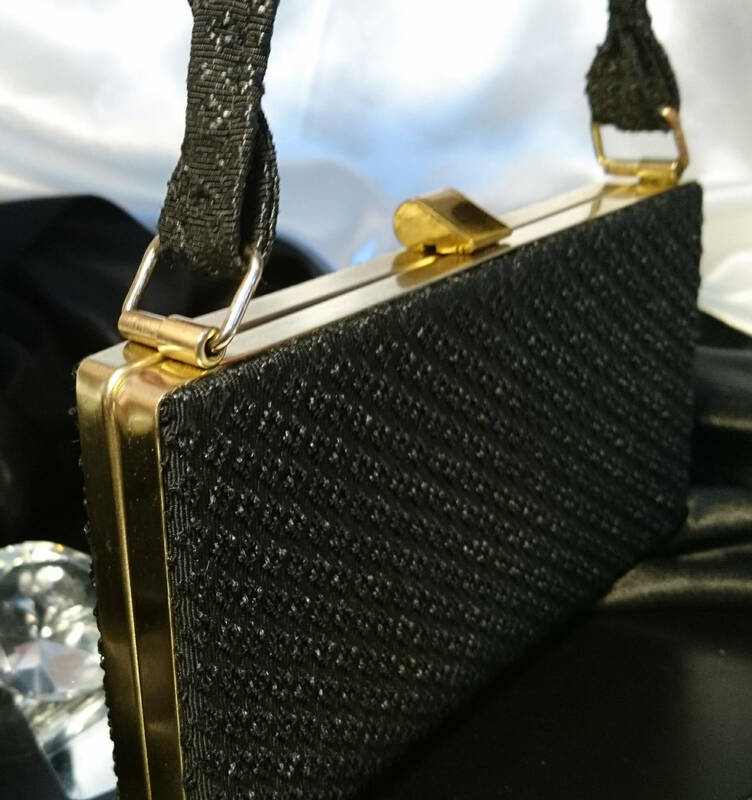 Gorgeous luxe 50's evening bag made in England. 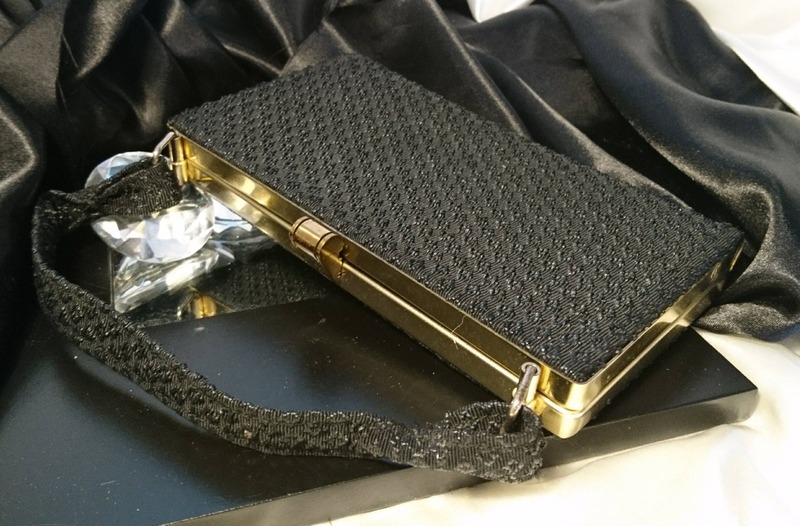 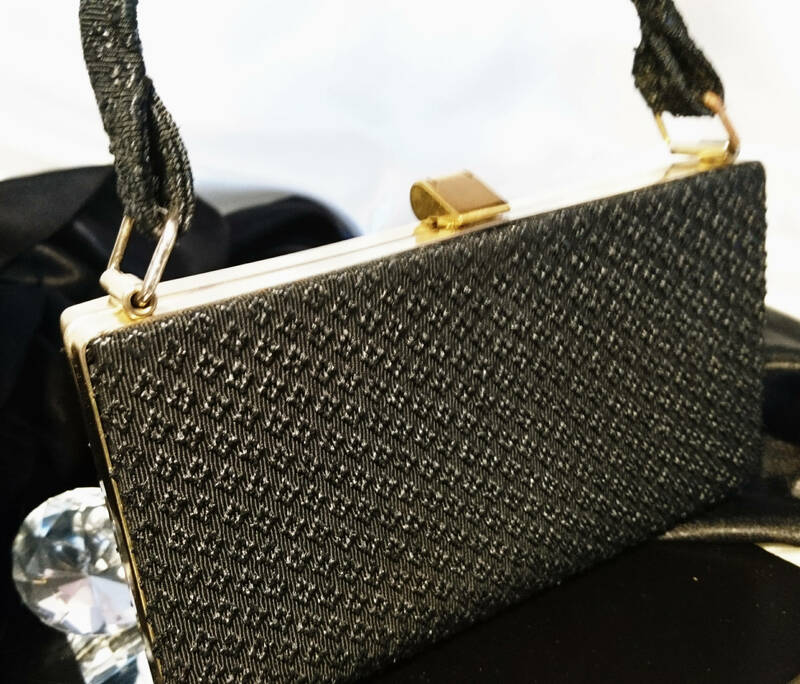 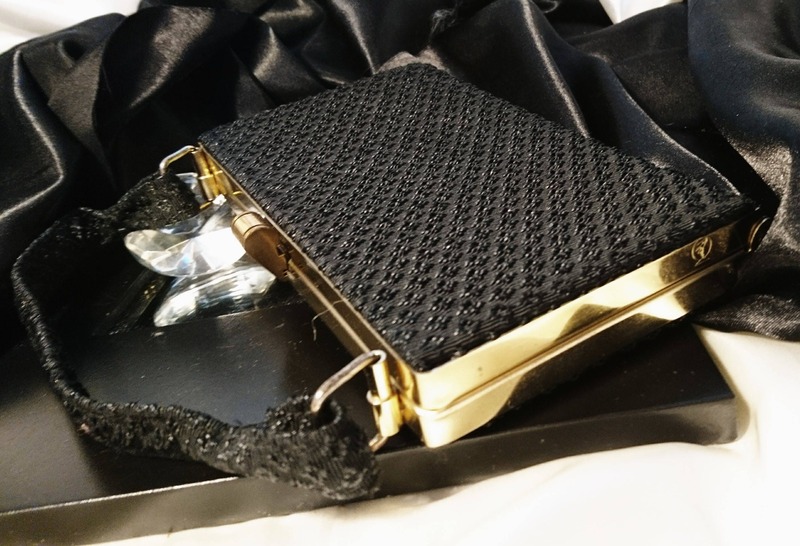 This bag is in excellent vintage condition inside and out, it is made from a matt black fabric with all over black beaded pattern both on the bag and the handles, the frame is a gold tone metal with a fancy gold tone clasp fastening. 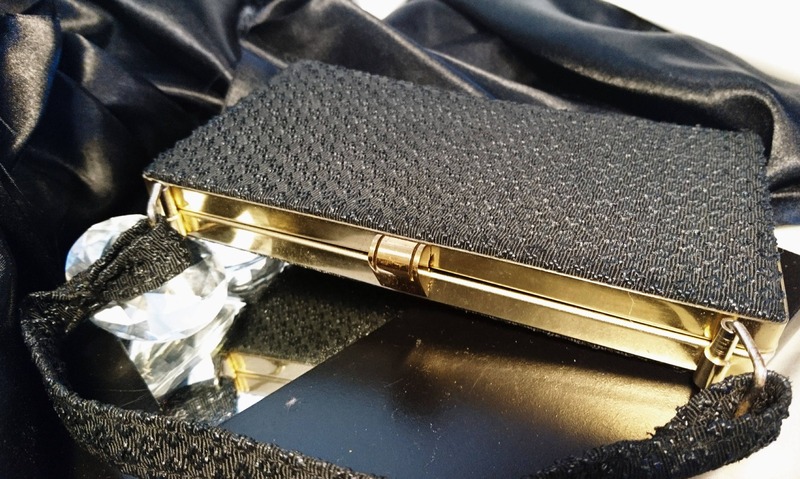 Internally it is spotless and fully lined with an attractive black grosgrain material. 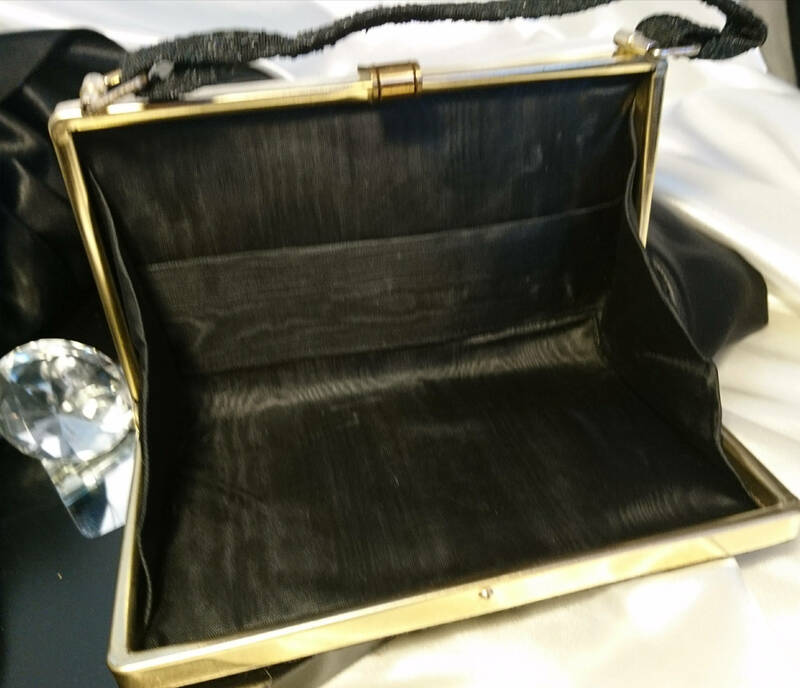 Approx 7" width and 4" height with a short top handle.